Interview with: Campbell Keir, Shell’s Country Chairman in Kazakhstan. Royal Dutch Shell has been one of the first foreign investors, which started its activities in Kazakhstan. Cooperation of one of the largest international oil company with oil-rich republic of the former Soviet Union has started in 1992. Campbell Keir, Shell’s Country Chairman in Kazakhstan, in an exclusive interview with New Europe correspondent in Astana Kulpash Konyrova discussed Shell’s involvement in the Caspian region, the Kashagan field, and a controversial tax law launched in Kazakhstan. 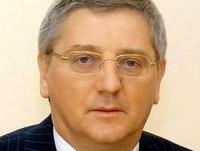 Mr. Keir, Shell has started its activities in Kazakhstan in the early 1990’s. What are Shell’s current business projects, investments, activities, achievements, plans to extend activities in Kazakhstan? In Kazakhstan, Shell has a diverse portfolio of projects. These include a share in the North Caspian PSA, Pearls exploration license, Arman JV, and a share in the CPC (Caspian Pipeline Consortium). 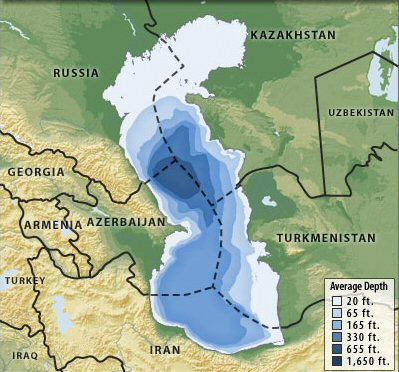 The North-Caspian project is the largest one, which many people call as Kashagan project. However, it is only one of the fields under the North Caspian PSA. Following the agreements last year with the Government, Shell has 16.81 percent share in the NCPSA. We are in the Phase I of developing the Kashagan field. Kashagan is one of the largest and most technically complicated field in the global oil and gas industry. Kashagan is deep — it has high pressure, high sulphur content, long duration of ice period, sensitive environment. The Caspian region is also short of infrastructure. To my opinion, you will see in the future more and more of such challenging projects like Kashagan. Shell believes that in the coming decades production from conventional fields will decline, and therefore companies are going to have to develop more difficult so called unconventional fields to meet the raising energy demand. Shell is also developing Pearls exploration license. We have just drilled second successful exploration well within the contract area in partnership with NC KMG and Oman Oil Company. This year we will drill an appraisal well. In both these projects we work closely with KazMunaiGasand KazMunaiTeniz. Relationship is very important to us because working with national oil companies we share our global experience, expertise, and it is part of what Shell does wherever it works worldwide. We say that we should become the part of the local community where we work. I believe that our relationship with national oil company will continue to get stronger as we go ahead. We also have Joint Venture Arman, producing oil onshore in equal partnership with LUKoil, and it continues to be successful. Shell has the interest in CPC. In December 2008 in Moscow we reached an agreement with partners to expand it. We are in discussion with the Government and partners on a new pipeline project KCTS to take Kazakh crude to Baku. Shell has been operating in Kazakhstan for 17 years. What about the investments during this period? We consider Kazakhstan as a country attractive in terms of foreign investments and we highly value our partnership. To date Shell has spent more than three billion US dollars with ongoing yearly investment of approximately 900 million. In addition, more than 7.2 million in social activities Shell made in 2008. In line with our Group Strategy More Upstream Profitable Downstream, majority of these spend is going to Caspian projects: Kashagan and Pearls. Shell expanded its role in the new Kashagan operating model. What are Shell’s intentions, particularly in terms of future operations? 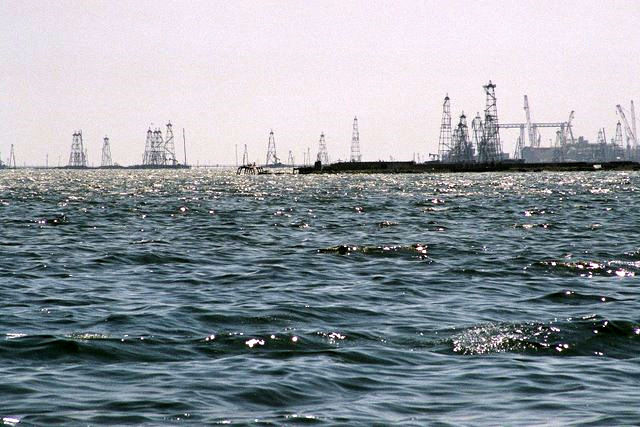 You may know that following a recent agreement on the new way forward for the development of the Kashagan project, a new joint operating company –- North Caspian Operating Company (NCOC) — has been created under the NCPSA. A new operator will manage all works integrated, make sure it consistent, and do reporting. Following the agreements, Shell will take on significant role in the project. Agip will continue to run Phase I, ExxonMobil will do drilling for the Phase II, and Shell will develop Phase II. So, we will have a very large responsibility for the future of Kashagan. Our role starting with the Phase II will only get strengthened. As I said we have 16.81 percent equity but we are taking on two very large pieces of work. Development of Phase II will be under Shell’s control and that’s a very large scope of work. We will with KMT run a joint venture that will manage the production. So, from now until the first oil we will be preparing to take over production operations from Agip KCO who is building and developing Phase I. That means when the first oil will come on stream, Shell and KMT will be responsible for that and at the same time we will be responsible for the development of Phase II, which is also a large scope of work. If compared to our share, we are taking on a large portion of responsibility. We do this because we believe that Shell’s experience and expertise will make this project successful. We are delighted that we will play a very important role in project execution, and we are delighted that work together with KMG and KMT. Shell intends to introduce its business principles, expertise, new technologies, and an innovative culture, committed to HSE, environmental protection and development of national staff. How will you build you relationship with KMG in a joint venture? Wherever we operate, we seek partnership with the national companies and maximising local content in our co-ventures and across local supply-chain. As I mentioned before, all further activities under the NC PSA will be carried out in partnership with KMG, which will progressively assuming greater responsibility. Local staff will gradually replace expatriated employees. Our joint efforts with Kaz- MunaiTeniz have led to success on Pearls exploration license. We did it together. We have joint management in CMOC and more than 80 percent of staff is Kazakh nationals. Major part of goods and services we procure from local vendors and suppliers. So, in both projects we work closely with KMG and KMT. How does development of Pearls exploration license progress? Do you support the idea of unitisation of Pearls and Kalamkas fields? How it can be implemented and what are the advantages of unitisation? Has Shell stopped its expansion on Caspian shelf or still interested in new projects? Does Shell plan to extend its activities onshore in Kazakhstan? Yes, we would be happy to the new opportunities, to develop new projects in the Caspian region. You may know that Shell is one of the largest explorer in terms of investment, which is in line with our Group Strategy: More Upstream, Profitable Downstream. Can you name some projects or blocks Shell is interested in, like Nursultan block? Yes, we are interested in Nursultan project. We carried out a number of studies and research work in relation to that project, however, decision on allocation of prospects makes government, and we do not comment decisions that government make. I’m not a geologist, but I think that we are yet to see new discoveries in the Caspian Sea, maybe not so large as Kashagan, but you know, new technologies and skills will lead to new discoveries. Most of the fie - lds, which are or yet to be discovered onshore and offshore, are likely to contain sulphur, and this is something where Shell has expertise and skills. Our global experience in sulphur would be very useful. Is Shell interested in gas/petrochemical projects in Kazakhstan, or it would prefer to focus on upstream? One of our companies, Shell Global Solutions provides technical assistance and consulting to all companies within Shell and to third parties as well. For example, we have been involved in a number of projects, such as support to KMG around refined product distribution and retail network expansion; supporting KMT with the implementation of a decision support process for offshore exploration. In addition to that we were involved in developing feasibility study for a Aktau bitumen plant, and prefeasibility study for Atyrau petrochemical plant, and other downstream matters. For Shell, investment in such projects, i.e., construction of refinery, petrochemical plant should be in line and linked to our Group Strategy “More Upstream, Profitable Downstream”. Therefore, at this stage of development, we do not consider to be involved in implementing these projects. However, we are delighted and wiling to continue to provide technical assistance and consulting services, but we would like to focus more on upstream. In your opinion, what are the future considerations for oil transportation-evacuation projects? How will these projects be developing? Will CPC, KCTS and oil pipeline to China compete with each other? Which one will first come on stream? We support a multi-vector approach of Kazakh government. Our number one priority is CPC expansion following the agreements reached last year. We also support a new pipeline project called KCTS and maintain an active involvement in discussions with the government on this project. We believe that we should consider all possible options. What if a pipeline to China comes on stream much ahead of CPC expansion and KCTS? Well, it’s difficult to say. There are three projects – CPC expansion, KCTS, and a railway, which is considered for transportation of sulphur and oil as well. Even if both projects – CPC expansion and KCTS construction delay, there is an option to evacuate crude (to western markets) by railway. Our priorities are clear and specific. First is CPC expansion, second is construction of KCTS, and then railway. What is your opinion on recent developments in national tax law and projected ones to the subsurface use? Will it impact Shell’s business and plans in Kazakhstan? How do you address a local content issue, and what are government’s requirements in this regard? We do not comment decisions that the government makes, but we can share our opinion and advice through such organisations like KazEnergy, Foreign Investors Council. Shell runs its business around the world under different economic conditions, different contracts, and what is most important to us is stability of conditions. We are in the business not for short-term investments. We are interested in long-term investments. Given that duration of energy sector projects is around 40-50 years, stability of fiscal and legal regimes is of paramount importance to us in order to maintain investments. But it is Government’s right to make necessary amendments. Does Shell plan to revise its projects in Kazakhstan given the falling oil prices? How will the oil price change in the future? If I could forecast oil prices, I would have not been working here; I would work as a trader. Last year the world has seen strong price volatility when the price reached the level that we have not seen from 2004. In Shell we do not do price forecasts. What we do is we develop different scenarios, business plans and test them against different economic conditions. At the moment we do not plan to make significant adjustments to our investment projects, however, even if we decide to do so, it should be done very carefully.